Living Spirituality: How should we Interpret Genesis 1-3 today? In the past, literal interpretations of the Genesis stories of creation and fall played a dominant role in determining the general contours of Christian belief. But such an interpretive orientation seems more tenuous than ever in light of our contemporary scientific knowledge. Where does that leave us today? 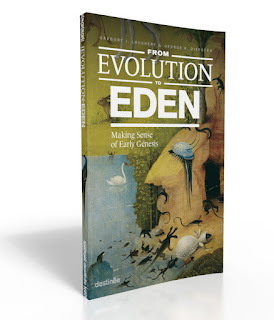 Answering that question is one of the major reasons we wrote From Evolution to Eden. Check it out.